Memorial Day is the unofficial beginning of summer in the great US of A. 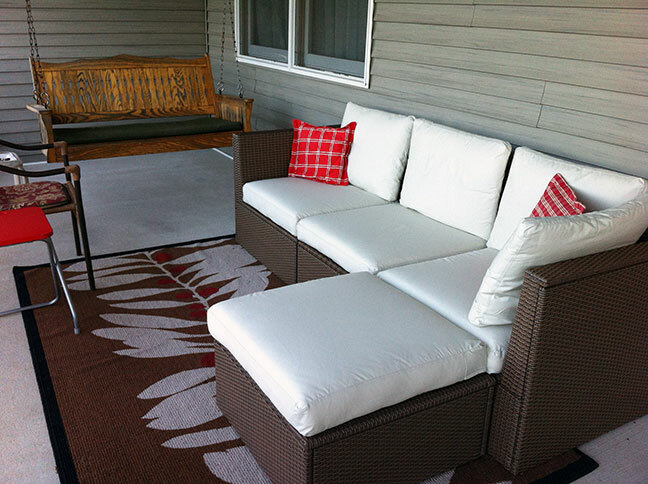 Last month I picked up some new furniture for our front porch from IKEA (yes, I love that store) which needed assembled. 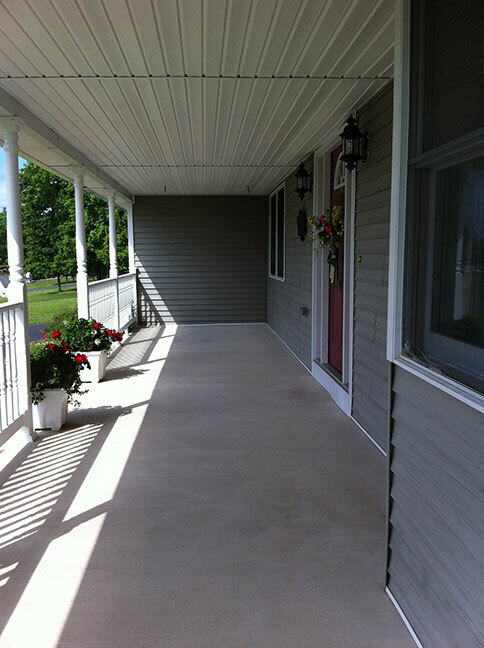 The assembly could not take place until Mr. Aitch power washed the front porch. Ta-da! 38 feet of clean emptiness. Four hours later, after some semi-easy assembly and 64 hex bolts. Those babies are time-consuming when hexing space is limited. I still need to get some flowers of other plants in the window box. I love the ottoman/table which is not connected at this time to the rest of the sofa so it’s easily moved. I’m planning on making new cushion covers as I don’t see the ivory staying clean even though it’s just Mr. Aitch and me. The covers are machine washable but I’d rather make new ones “just in case”. Plus I can make new seat covers for the swing and rocking chair as well. 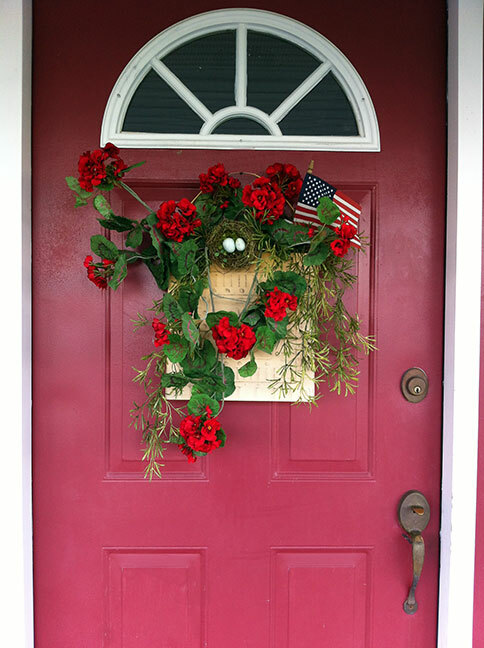 This entry was posted in decorating and tagged decorating, front porch, summer by Patti_is_knittinginflashes. Bookmark the permalink. White cushions scare me. Lovely set up! 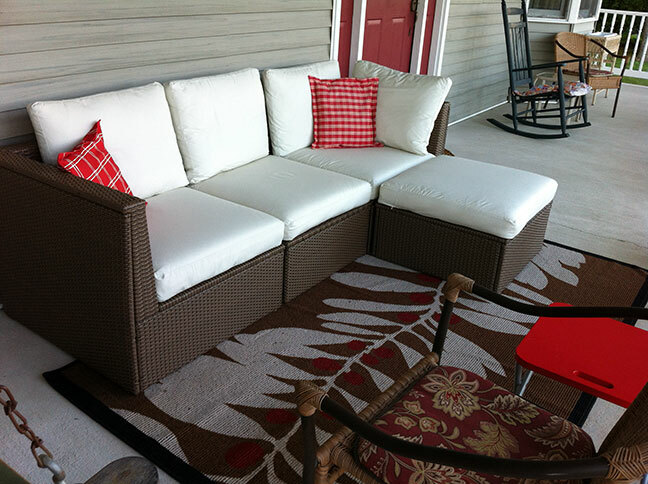 Would love to be sitting out with you at dusk, sipping something cool and delicious. I should buy some fabric protector spray to help keep them clean. 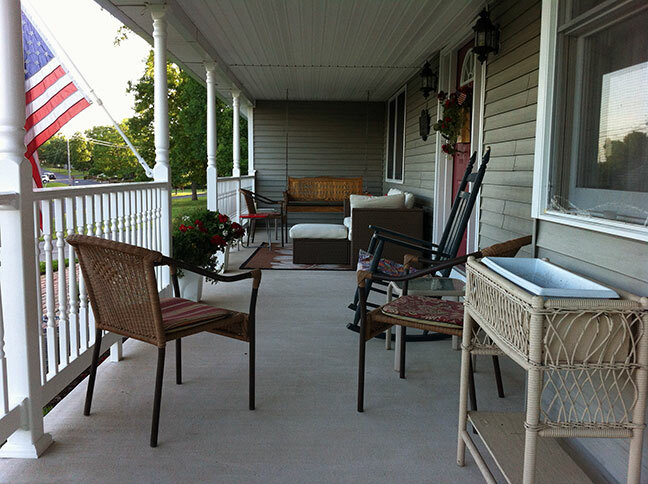 Your porch looks so inviting. I could just sit there with you. 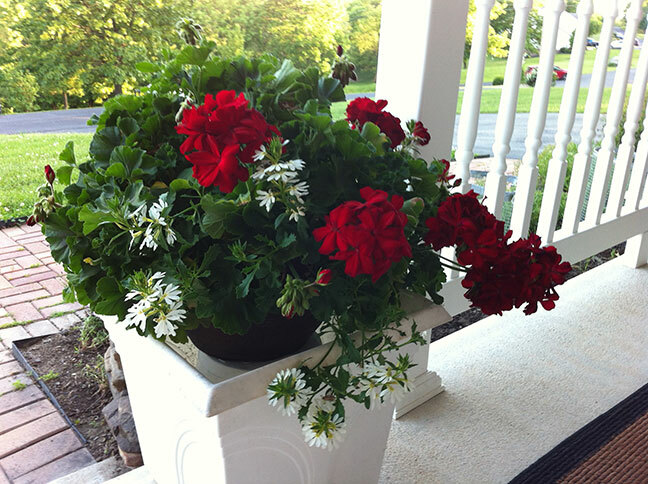 I think it was a long time ago, but I’ve seen pictures of your front porch before. You keep such a beautiful home. And you were smart to wait until the pollen calmed down before doing this project. A big fat yes to the fabric protector spray. I use it and it works! Enjoy that porch. Enjoy your summer. We still have pollen floating around but it’s not nearly the amount we had a few weeks ago. I’m on a search for fabric protector spray. We’ve been enjoying our porch so far. Enjoy your summer, too. How very pretty! I am planning an IKEA trip next month for dining room chairs -also white, which I also plan to recover. 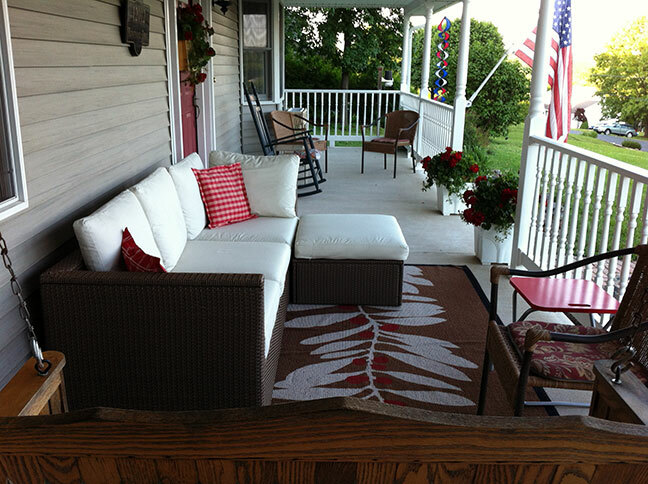 I just love IKEA… and I love yoru pretty porch! I hope you have a summer that is just the right amount of warm to really enjoy it.